Thomas Caine lives in the shadows. Betrayed and left for dead, he has put his past as a CIA assassin behind him. Now he lives off the grid, and hides from his dark past in the seedy underworld of Pattaya, Thailand. But when local gangsters set him up for a crime he didn't commit, he finds himself back in the clutches of the CIA. His old masters make him an offer he can't refuse: rot in a hellish Thai prison, or accept a dangerous mission in Tokyo, Japan. 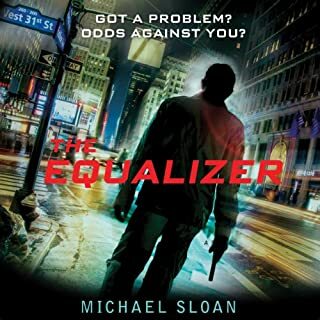 As he hunts the neon-lit city for a CIA asset's missing daughter, he quickly learns there is more to this assignment than meets the eye. Yakuza thugs, Japan's Security Bureau, and even rogue CIA operatives all stand between him and his objective. And looming in the shadows is Tokyo Black, a right-wing terrorist cult whose members demonstrate their loyalty by burning their yakuza tattoos from their skin. Can Thomas Caine defeat this fanatical enemy, before they ignite an international conflict that kills thousands? I've found Jonathan Davis to be an excellent narrator in the past. He totally ruined this book by drastically increasing his voice volume when reading the emotional dialog or describing emotional situations. I had to change the volume hundreds of times while listening to Tokyo Black. I detest this sort of narration because the volume in almost never comfortable. A good narrator can express dialog emotion without screaming. 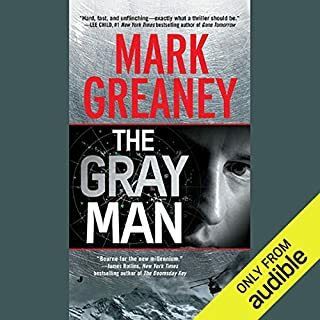 I'll return this book but will attempt to listen to Red Phoenix, the next book in the series which is already in my Audible library. I am a big fan of Mr Davis. He is in Audible’s reader hall of fame 2017 and this book was my purchase to celebrate it. Performance excellent in this and the other author’s book Mr Davis reads. I do use new 1.25x speed to match the author’s intentions. I am on the new 2 speaker iPhone which broadcasted this story very well. I didn’t have the issues Shelly and Wayne, who I follow, had. Great story, mix of Black Rain and background to Rising Sun. I felt I was in Japan racing along with our heroes. I did read the 2nd book 1st and enjoyed it enough to try this 1st read of author by Mr Davis. Let me know if my comments were helpful to you.? 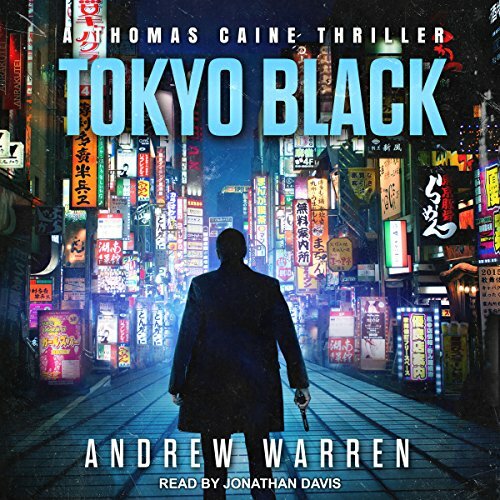 Would you consider the audio edition of Tokyo Black to be better than the print version? I didn't read the printed version but I think I will. Did Jonathan Davis do a good job differentiating all the characters? How? No I don't think he did. I thought he was a little monotone. I found myself drifting and having to rewind more than once and it was not because of the story. 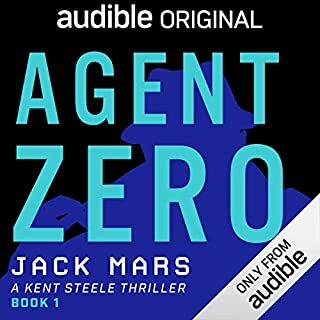 The story itself is an excellent espionage thriller and I have been looking forward to this being released on Audible but I sure wish someone had stuck with the original narrator. There is plenty of action and a shocking ending. I know there is another book in this series and I am hoping it will make it to Audible with a different narrator. I would HIGHLY RECOMMEND the printed version. Wonderful writing. Description of places ,surrounding .people a d action is the best I have read in quite a while! You can usually tell when an author throws a book together without doing his or her research. And then you can tell when someone really has a passion for something or someplace. 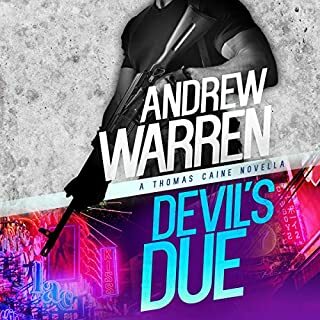 You can tell that Warren has a passion for writing a well thought out and detailed thriller and that he loves Japan and Japanese culture (the good and the bad). Tokyo Black is a look into the deep and dark world of a gang that is filled with ex-Yakuza members who believe that the Yakuza has lost their ways and that they need to start over again. To join, you just need to have your Yakuza tattoo’s removed in the most painful ways imaginable. If you can survive the pain — you may join. And what do they call themselves? Tokyo Black. Thomas Caine is thrown into the middle of this as he searches for a CIA asset’s missing daughter. The story itself was really detailed. As I wrote about, I could really tell that Warren either spent time in and around Tokyo or spent a lot of time researching their cultures, traditions, and landmarks. At first I felt like I was being dropped into a series mid-run, but after a little while Warren started to explain who Caine was and why we were following him. It took a little while to get there, but once the story did, it picked up the pace and really moved towards the end. Thomas Caine is one of those ‘I like you but I don’t like you’ kind of main characters. He has one of those personalities that I could have really hated, but he grew on me. The story itself was really interesting, but a little too detail oriented. I enjoy the details but sometimes it just felt like it dragged on a little too much. As I mentioned above, the story did pick up about a third of the way in and did continue at a pretty good pace from there one. But getting through the first third was harder than I usually like. Overall though, Tokyo Black was one of those thrillers for people who like detail-written plots with really researched topics, great character development, and a nice medium-to-fast paced story. The narration was done by Jonathan Davis, who I thought did a pretty good job. 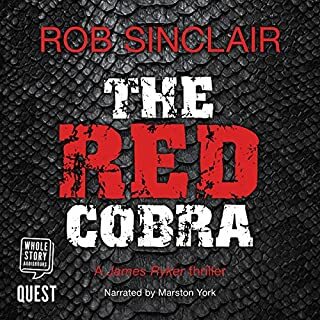 I’ve never had any issues with any of my Tantor Audio books — and this one was no different. Perfectly edited with good pacing and great sound quality. Caine is brought back from the dead because the CIA needs the best. He is rescued from the hell-hole Thai prison by his former CIA girl friend. 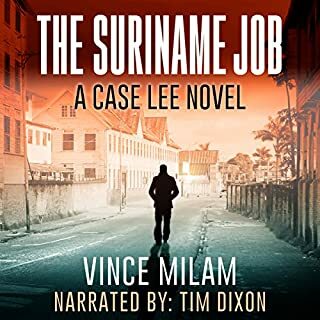 Caine leaves Thailand in search of a missing Japanese girl wanted by her pervert father and travels to Japan where he mixes with a lot of very violent people. These are former Yakuza who have purified themselves (and burned off their tattoos) and taken on a new goal, that of purging Japan of its weakness, and leading their country into a new golden age. Their reasoning and plans are a bit vague, but they are ruthless and bloody, and want to start a war with China. Cain has to outmaneuver the Japanese police, the Yakuza, the CIA, and the new purified guys. There is a good deal of Tokyo flavor in the story, allowing you to feel you are there. I just don't think any Japanese girl has coffee-colored thighs, even with a lot of cream. There are more revelations about Caine's past and the people he once knew, both as friends and as enemies. There is more betrayal, but Cain is up to it all. Will Caine be able to deliver justice (or is it vengeance) to the man who betrayed him? Can he find the girl? Why is she important? How can Caine stop the international war about to happen? With nick-of-time action, this is a fine addition to the saga. I quite enjoyed the story. The narrator has a great deal of talent, but varied the volume so extremely and so constantly it was a difficult listen. He needs to learn to simply vary the intensity instead. I was constantly adjusting the volume and that detracted immensely from enjoyment. Story kept my attention. The performance was off putting at the beginning. Some action events caused the voice to be harsh and straining as expected. However, there were times the voice distracted me from the storyline.